19 of his sire sons have produced stakes winners incl Snitzel, Not A Single Doubt, Beneteau, Stratum etc (eight of them have Gr1 winners). He has himself produced 159 stakes winners and over $145m including 33 Gr1 winners and a very impressive list of champions. 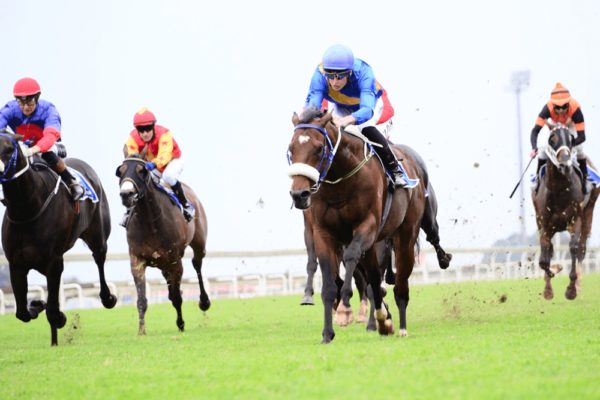 He has top stakes winners that are spread over the age groups and sexes and from 1000m to 2500m. 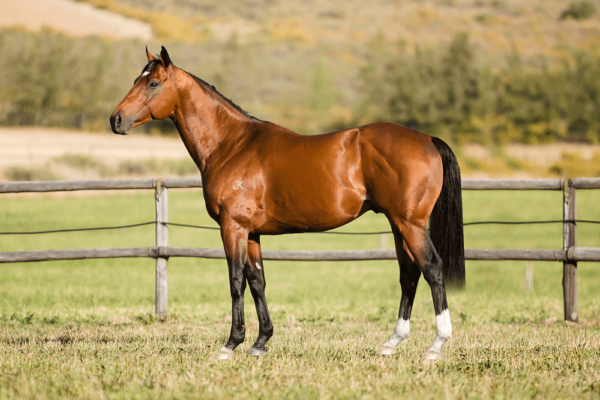 1st dam: won 5 and produced ten runners, 8 winners incl a champion sprinter and WYLIE HALL. IDEAL PLANET won 9 races for Tommy Smith incl the 1350m Gr1 Doomben 10,000 – at stud he produced 71% winners; mostly sprinters including ROUSLAN 7 wins 1000m to 1400m incl Gr1 Stradbrooke H., FROM THE PLANET 7 wins from 1200m to 1600m incl Gr1 Epsom H., LET’S PLANET12 wins SW from 1200m to 1400m, ROANOKE BOY 13 wins SW from 1000m to 1350m etc. WYLIE HALL 6 wins from 1400m to 2450m, R3,694,625, South African Derby, Gr.1, Turffontein Presidents Champions Challenge, Gr.1, Colorado King S., Gr.2, Derby Trial, L, Cape Summer of Champions Pinnacle S., 2d Greyville Durban July H., Gr.1, Turffontein Egoli Mile, Soccer 10 H., 3d Turffontein London News S., Gr.3, 4th Turffontein Presidents Champions Challenge, Gr.1, Horse Chestnut S., Gr.1, Greyville Daily News 2000 S., Gr.1. 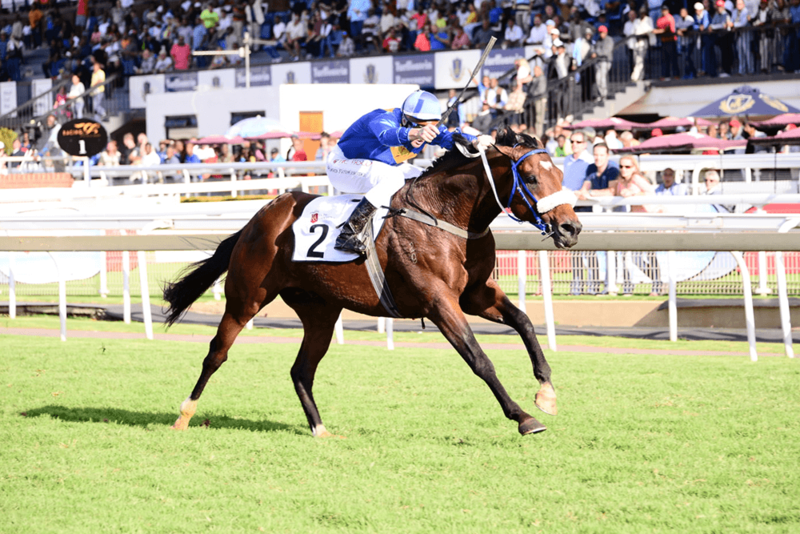 He entered stud in South Af in 2015. Sire of 7 progeny to race, 2 winners (28.0%), earnings of over $15,000, 1 stakes winner, inc. TWILIGHT MOON (16c, Qui Danzig, Elliodor). 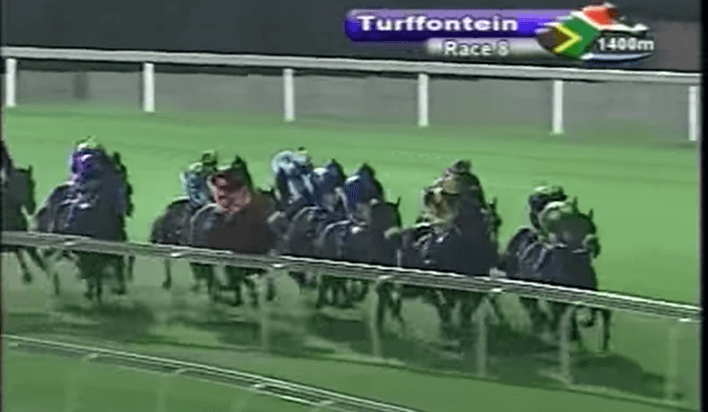 Winner at 2 in 2018-19, Turffontein Storm Bird S., L.
Wily Lass (16f, Silvano, Argosy). Winner at 2 in 2018-19. Silent Wylie (16f, Jet Master, Sportsworld). Placed at 2 in 2018-19. 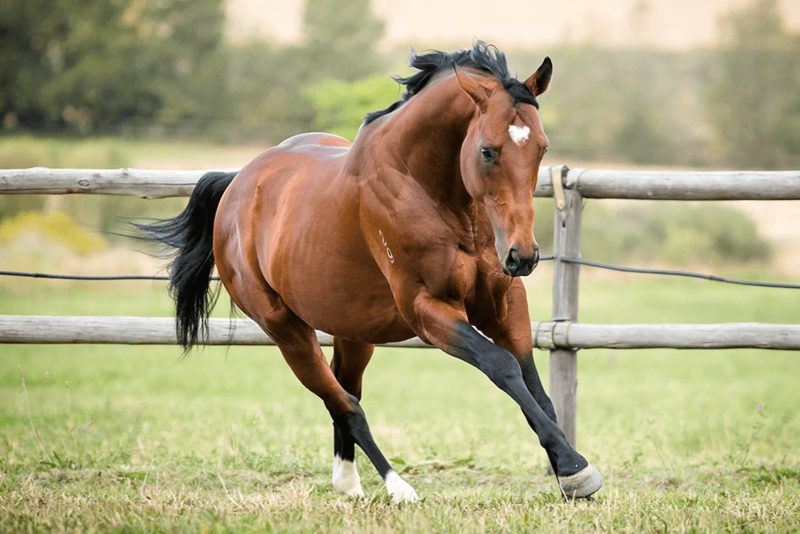 REDOUTE’S CHOICE Champion 3YO Miler in Australia in 1999-2000. Joint Champion 3YO in Aust/NZ in 1999-2000. 5 wins-2 at 2-from 1100m to 1600m, A$1,567,850, VATC Blue Diamond S., Gr.1, Caulfield Guineas, Gr.1, CF Orr S., Gr.1, MVRC Manikato S., Gr.1, VATC Veuve Clicquot S., L, 2d MVRC Australia S., Gr.1, 3d VATC Futurity S., Gr.1, Vic Health Cup, Gr.1, 4th VRC Ascot Vale S., Gr.2. He entered stud in Aust. in 2000. Champion Aust. Sire in 2005-06, 2009-10, 2013-14, second in 2008-09, 2010-11, third in 2004-05, 2006-07, 2011-12. Champion Aust. Sire (AEI) in 2004-05, 2005-06, 2006-07. Champion Aust. 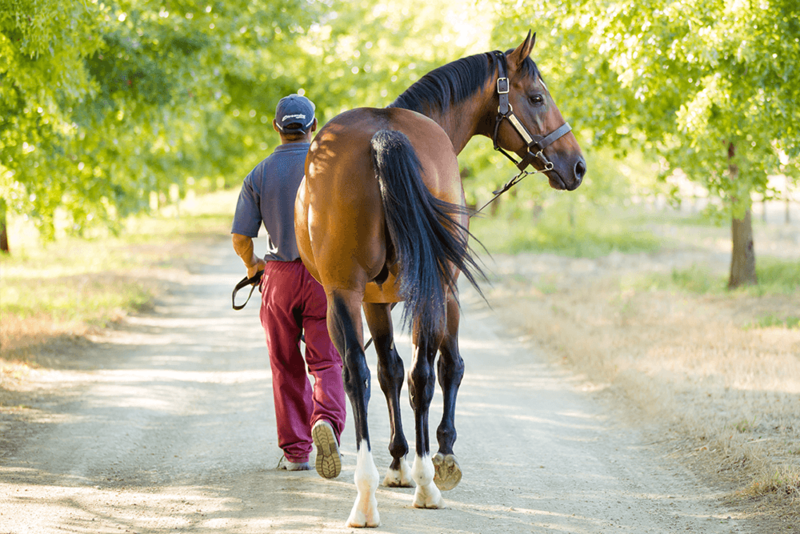 Sire of 2YOs in 2004-05, 2005-06. . Sire of 1391 progeny to race, 1049 winners (75.0%), earnings of over $156 million, 163 stakes winners, 119 stakes placegetters, inc.
MISS FINLAND (03f, Woodman, Sadler’s Wells). Champion 2YO & 3YO Filly in Australia in 2006 & 2007.11 wins-3 at 2-from 1000m to 2500m, A$4,632,775, STC Golden Slipper S., Gr.1, VRC Australian Guineas, Gr.1, VRC Oaks, Gr.1, MRC Thousand Guineas, Gr.1, STC Arrowfield Stud S., Gr.1, MRC Memsie S., Gr.2, Angus Armanasco S., Gr.2, HDF McNeil S., Gr.3, Tranquil Star S., Gr.3, VRC Talindert S., L, MRC Pleach 2YO P., 2d AJC Champagne S., Gr.1, MRC Blue Diamond S., Gr.1, Yalumba S., Gr.1, Underwood S., Gr.1, VRC Edward Manifold S., Gr.2, 3d MRC Futurity S., Gr.1, 4th MVRC WS Cox P., Gr.1, MRC CF Orr S., Gr.1, STC Reisling Slipper Trial S., Gr.2. THE AUTUMN SUN (15c, Galileo, Lear Fan). 7 wins-3 at 2-from 1200m to 1600m to 2018-19, A$3,138,121, ATC Golden Rose S., Gr.1, Randwick Guineas, Gr.1, MRC Caulfield Guineas, Gr.1, BRC JJ Atkins S., Gr.1, ATC Hobartville S., Gr.2, Energy Air 2YO P., Armistice 2YO P., 3d ATC Stan Fox S., Gr.2. LOTTERIA (01f, Sir Tristram, Zamazaan). 8 wins from 1200m to 1600m, A$1,491,560, AJC Flight S., Gr.1, VRC Myer Classic, Gr.1, AJC Surround S., Gr.2, STC Shannon S., Gr.2, Newcastle JC Spring S., Gr.3, AJC Show County H., L, Kogarah H., 2d MVRC WS Cox P., Gr.1, STC Arrowfield Stud S., Gr.1, NSW Tatt’s RC Tramway H., Gr.3, 3d AJC Epsom H., Gr.1, 4th STC Canterbury S., Gr.2. MELITO (06f, Marauding, Prince True). 5 wins-1 at 2-to 1400m, A$1,934,050, AJC TJ Smith S., Gr.1, Qld Tatt’s RC Winter S., Gr.1, ATC Apollo S., Gr.2, AJC Furious S., Gr.2, STC Silver Slipper S., Gr.2, 2d ATC Queen of the Turf S., Gr.1, AJC All Aged S., Gr.1, BRC Stradbroke H., Gr.1, BTC Cup, Gr.1, MRC Thousand Guineas, Gr.1, STC Reisling S., Gr.2, Tea Rose S., Gr.2, AJC Silver Shadow S., Gr.3, Widden S., L, 3d ATC Coolmore Classic, Gr.1, BRC Doomben Ten Thousand S., Gr.1, VRC Wakeful S., Gr.2, STC Birthday Card S., Gr.3, 4th ATC All Aged S., Gr.1, AJC Flight S., Gr.1. FASHIONS AFIELD (02f, Wild Again, Bletchingly). 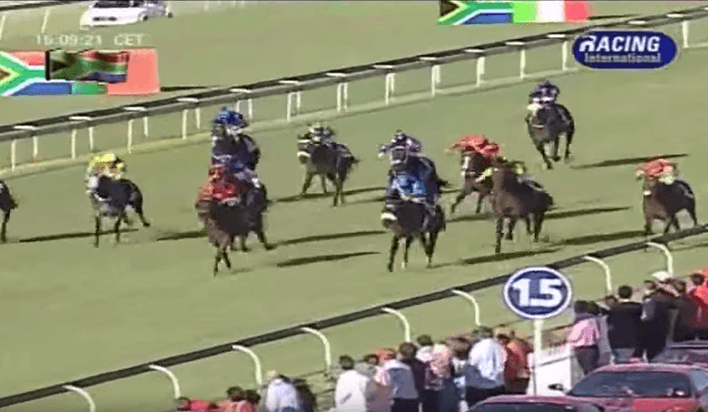 Champion 2YO filly in Australia in 2004-05.6 wins-4 at 2-from 1200m to 1600m, A$1,974,110, AJC Sires’ Produce S., Gr.1, Flight S., Gr.1, STC Reisling Slipper Trial S., Gr.2, Gold Coast Guineas, L, AJC Meriton Serviced Apartments 2YO H., STC Riverina Charm 2YO H., 2d STC Golden Slipper S., Gr.1, AJC Champagne S., Gr.1, Qld Tatt’s RC Winter S., Gr.1, STC Expressway S., Gr.2, Tea Rose S., Gr.2, Queensland Guineas, Gr.2, AJC Silver Shadow S., Gr.3, GCTC Magic Millions 3YO Trophy, RL, 3d STC Premiere S., Gr.2, 4th STC Queen of the Turf S., Gr.1, VRC Ascot Vale S., Gr.2, STC Apollo S., Gr.2, Missile S., Gr.3. KING’S ROSE (07f, Nureyev, Manila). 8 wins-1 at 2-from 1000m to 2000m, NZ$391,390, A$772,100, New Zealand One Thousand Guineas, Gr.1, ARC Royal S., Gr.2, MVRC WH Stocks S., Gr.2, MRC Memsie S., Gr.2, Waikato RC Sir Tristram Fillies Classic, Gr.2, Manawatu RC Eulogy S., Gr.3, Ashburton RC Ray Coupland S., L, 2d VRC Emirates S., Gr.1, MRC Toorak H., Gr.1, VRC Gilgai S., Gr.2, MRC Moonga S., Gr.3, 3d ATC Coolmore Classic, Gr.1, Queen of the Turf S., Gr.1, 4th Hawkes Bay Lowland S., Gr.3. SNITZEL (02c, Snippets, Storm Bird). 7 wins-4 at 2-to 1200m, A$1,031,550, MRC Oakleigh P., Gr.1, AJC Challenge S., Gr.2, Up & Coming S., Gr.3, STC Skyline S., Gr.3, AJC Breeders’ P., L, BTC Tommy Smith Slipper S., L, Wyong RC Strawberry Hill Slipper S., 2d VRC Newmarket H., Gr.1, 3d AJC TJ Smith S., Gr.1, San Domenico S., Gr.3, GCTC Magic Millions 2YO Classic S., RL, 4th AJC All-Aged S., Gr.1, MVRC Manikato S., Gr.1. BONARIA (08f, Last Tycoon, Twig Moss). 8 wins-1 at 2-from 1100m to 1600m, A$951,319, VRC Myer Classic, Gr.1, Schweppervescence Trophy, Gr.3-twice, MRC Mannerism S., Gr.3, VRC Lort Smith Animal Hospital H., MRC Sportingbet H., The Age H., 2d VRC Blazer S., Gr.2, MRC Geoffrey Bellmaine S., Gr.3, Ladies Day Vase, Gr.3, 3d MRC Geoffrey Bellmaine S., Gr.3, Vintage Photobooth H., VRC Peter Rowland Catering H., MRC Responsible Gambling Awareness Week H., Race-Tech 2YO H., 4th VRC Let’s Elope S., Gr.2-3 times, MVRC Sunline S., Gr.2, MRC WW Cockram S., Gr.3, Summoned S., Gr.3. ANAMATO (03f, Whiskey Road, Sovereign Edition). 4 wins-1 at 2-from 1500m to 2000m, US$90,000, A$861,850, SAJC Australasian Oaks, Gr.1, VRC AV Kewney S., Gr.2, Moonee Valley Fillies Oaks Classic, Gr.2, SAJC Sires’ Produce S., Gr.3, 2d VRC Danehill S., Gr.3, MRC Tranquil Star S., Gr.3, AJC Fernhill H., L, VRC Isca 2YO P., 3d Hollywood Park American Oaks, Gr.1, VRC Oaks, Gr.1, MRC Yalumba S., Gr.1, VRC Wakeful S., Gr.2, Thoroughbred Breeders S., Gr.3, MRC Kevin Hayes S., L, 4th MVRC JRA Cup, L.
PEEPING (11f, Encosta de Lago, Don’t Say Halo). 6 wins to 1500m, A$889,535, ATC Coolmore Classic, Gr.1, Golden Pendant, Gr.2, Darby Munro S., L, Fairfield RSL Club H., Anthony Cullen H., 2d ATC PJ Bell S., Gr.3, Triscay S., Gr.3, Fireball S., L, 3d ATC Guy Walter S., Gr.2, Hyland Race Colours H.
HOWARD BE THY NAME (12c, Faltaat, Defensive Play). 5 wins from 1600m to 2500m, A$615,540, South Australian Derby, Gr.1, SAJC Chairman’s S., Gr.3, Port Adelaide Guineas, L, 2d Tasmanian Derby, L, MRC Grand Hotel Frankston P., MVRC CRT Whites Rural P., 3d BRC Grand Prix S., Gr.3, 4th BRC Queensland Derby, Gr.1. ROYAL DESCENT (09f, Kaapstad, Palace Music). 5 wins from 1200m to 2400m, A$2,709,780, Australian Oaks, Gr.1, ATC Warwick S., Gr.2, Adrian Knox S., Gr.3, Australian Turf Club H., Seasons Greetings P., 2d ATC Doncaster H., Gr.1, Epsom H., Gr.1, George Main S., Gr.1-3 times, VRC Turnbull S., Gr.1, ATC Warwick S., Gr.2, Chelmsford S., Gr.2, Toy Show H., Gr.3, Illawarra TC Keith F Nolan Classic, Gr.3, 3d ATC Queen Elizabeth S., Gr.1, Doncaster H., Gr.1, NSW Tatt’s RC Chelmsford S., Gr.2, ATC Tramway S., Gr.3, Tab.com.au H., 4th ATC George Ryder S., Gr.1, Surround S., Gr.2, Millie Fox S., Gr.2. CHEEKY CHOICE (03f, Caerleon, Persian Bold). 4 wins-1 at 2-from 1300m to 1600m, A$625,425, AJC Flight S., Gr.1, STC Tea Rose S., Gr.2, AJC William H Ogilvie 2YO H., NSW Tatt’s RC Napoleon Perdis H., 2d STC Queen of the Turf S., Gr.1, Canterbury S., Gr.2, AJC Australian Income Protection 2YO H., STC Escape to the Races 2YO H., Hyland Race Colours 2YO H., 3d MRC Thousand Guineas, Gr.1, 4th AJC Emancipation S., Gr.2. REDOUTE’S DANCER (03c, El Gran Senor, Condorcet). Top of the 2006-07 NZ 3YO Free H. (1650m+).4 wins from 1800m to 2400m, NZ$480,000, A$87,450, New Zealand Derby, Gr.1, ARC Championship S., Gr.2, AJC Mosman H., 2d AJC Pepsi Max H., AH Beard Toparoa H.
STRATUM (02c, Luskin Star, Vain). Champion 2YO Colt in Australia in 2004-05.2 wins at 2, A$2,244,500, STC Golden Slipper S., Gr.1, Pago Pago S., Gr.2, 2d VRC Age Classic S., Gr.2, MVRC Bill Stutt S., Gr.2, NSW Tatt’s RC Roman Consul S., Gr.2, AJC Up & Coming S., Gr.3, STC Skyline S., Gr.3, 3d VRC Newmarket H., Gr.1, Rory’s Jester P., Gr.3, 4th AJC San Domenico S., Gr.3. UNDOUBTEDLY (02c, Don’t Say Halo, Manihi). 2 wins at 2, A$765,200, MRC Blue Diamond S., Gr.1, SAJC Queen Adelaide S., L, 3d VRC Ascot Vale S., Gr.2, MVRC Mitchell McKenzie S., L.
ABBEY MARIE (12f, Catrail, Pleasant Colony). 3 wins from 1300m to 2000m, A$542,870, SAJC Schweppes Oaks, Gr.1, MRC JRA H., Cove Hotel P., 2d MVRC Dato’ Tan Chin Nam S., Gr.2, 4th BRC Doomben Cup, Gr.1, MRC Mannerism S., Gr.3. GOD’S OWN (02c, Sky Chase, Showdown). Joint Head of The 2005-06 Australasian 3YO Classification.3 wins-1 at 2-at 1200m, 1600m, A$999,500, MRC Caulfield Guineas, Gr.1, AJC Ladies Auxilary 2YO H., STC Mounties H., 2d VRC Lightning S., Gr.1, MRC Guineas Prelude, Gr.3, Schweppervescence Cup, Gr.3, 4th STC Golden Rose S., L.
DOUBTING (02f, Sovereign Red, Baguette). 6 wins-2 at 2-from 1000m to 1600m, A$782,750, VRC AV Kewney S., Gr.2, MRC Blue Diamond Prelude (f), Gr.3, Tranquil Star S., Gr.3, AJC Wiggle H., L, STC Triscay S., L, 2d STC Coolmore Classic, Gr.1, MRC Angus Armanasco S., Gr.2, 3d MRC WW Cockram S., Gr.3, Quezette S., L, Boronia S., L, 4th Qld Tatt’s RC Winter S., Gr.1. ABIDEWITHME (09f, Zabeel, Mellay). 9 wins from 1200m to 2000m, NZ$416,200, A$63,750, Cambridge JC Travis S., Gr.2, BOP RC Tauranga S., Gr.2, WRC Anniversary H., L, Ashburton RC Ray Coupland S., L, MRC Cape Grim Beef P., ARC Augusta Capital H., New Zealand Herald H., Hallmark Yearlings 3YO Mile, 2d Te Aroha JC New Zealand Thoroughbred Breeders’ S., Gr.1, Cambridge JC Travis S., Gr.2, ARC Westbury Classic, Gr.3, Sofitel Luxury Hotels S., Gr.3, 3d WRC Thorndon Mile, Gr.1, Te Aroha JC New Zealand Thoroughbred Breeders’ S., Gr.1, ARC Blue Bubble Taxis H., 4th Waikato RC Herbie Dyke S., Gr.1, Hawkes Bay Makfi Challenge S., Gr.1, Waikato RC Cal Isuzu S., Gr.2, ARC Westbury Classic, Gr.3. TANGO’S DAUGHTER (10f, Anabaa, Gone West). 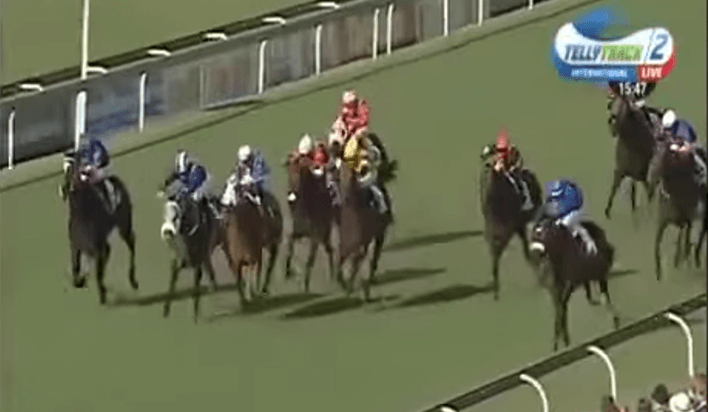 5 wins-2 at 2-from 1000m to 1600m, A$299,135, SAJC Queen of the South S., Gr.2, HC Nitschke S., L, MRC Hilton Manufacturing H., Equine Haven Racehorse Spelling 2YO P., 3d VRC MSS Security S., L, MRC Weekend Hussler S., L, 4th VRC Matriarch S., Gr.2, MVRC Tesio S., Gr.3, MRC Lord S., L.
MUTAWAAJID (03c, Vain, High Line). 5 wins-2 at 2-to 1400m, £19,454, A$305,250, AJC Royal Sovereign S., Gr.2, STC Hobartville S., Gr.2, NSW Tatt’s RC Vili’s H., STC Tooheys New 2YO H., 4th AJC Randwick Guineas, Gr.1, Haydock Sprint Cup, Gr.1, Newbury World Trophy, Gr.3. PERFECT JEWEL (14f, Jeune, Royal Academy). 4 wins-1 at 2-at 1200m, 1600m to 2017-18, A$562,280, Western Australian Guineas, Gr.2, WATC Belgravia S., L, Vili’s 2YO P., 3d Perth Racing Ted Van Heemst S., Gr.2, 4th Perth Racing Railway S., Gr.1, WATC Kingston Town Classic, Gr.1, Burgess Queen S., L.
REKINDLED INTEREST (07g, Rainbow Quest, The Minstrel). 3 wins-1 at 2-from 1000m to 2050m, A$921,300, MVRC Dato’ Tan Chin Nam S., Gr.2, AAMI Vase, Gr.2, 2d ATC George Ryder S., Gr.1, VRC Aurie’s Star H., Gr.3, MVRC Chandler Macleod S., L, 3d MVRC WS Cox P., Gr.1, VRC LKS Mackinnon S., Gr.1, MVRC Dato’ Tan Chin Nam S., Gr.2, 4th MRC Memsie S., Gr.2, MVRC Mitchell McKenzie S., L.
GIRL GONE ROCKIN’ (08f, Just a Dancer, Beaufort Sea). 4 wins from 1400m to 2050m, A$291,080, VRC Matriarch S., Gr.2, MVRC Melbourne Neonatal Network H., 2d ATC Cornucopia Committee Inc H., MVRC Adapt Australia H., Corporate Interiors Australia H., 3d MRC Sportingbet H.
HARDHAM (13c, Nureyev, Manila). 3 wins-1 at 2-from 1200m to 2050m to 2017-18, A$657,150, MVRC Alister Clark S., Gr.2, VRC Sofitel Girls’ Day Out H., 2d MRC Inglis Cup, 3d ATC Australian Derby, Gr.1, MRC Vain S., Gr.3. AMELIA’S DREAM (05f, St Covet, Cure the Blues). 2 wins at 2, A$148,950, STC Silver Slipper S., Gr.2, De Bortoli Wines 2YO P.
ROCK MAGIC (09g, Bubble Gum Fellow, Rory’s Jester). 15 wins to 1400m to 2017-18, A$1,309,316, WATC Colonel Reeves S., Gr.3, Prince of Wales S., Gr.3, Roma Cup, Gr.3-twice, Belmont Sprint, Gr.3, Beaufine S., L, Farnley S., L, Idyllic Prince S., L, ATC Become an ATC Sponsor H., TAB Number 1 Club H., WATC Paul Quartermaine 60th Birthday H., Perth Racing on Facebook & Twitter H., Tabtouch.com.au H., 2d WATC Colonel Reeves S., Gr.3, HG Bolton Sprint, L, Belmont Newmarket H., L, Westspeed Sprint H., 3d WATC Winterbottom S., Gr.1, MRC Schillaci S., Gr.2, WATC Beaufine S., L, Idyllic Prince S., L, Scenic Blast S., L, Northam S., L, ATC Kokoda H., Scone RC Segenhoe Stud H., 4th VRC Newmarket H., Gr.1, MVRC AJ Moir S., Gr.1, William Reid S., Gr.1. BURGUNDY (08c, Zabeel, Vice Regal). 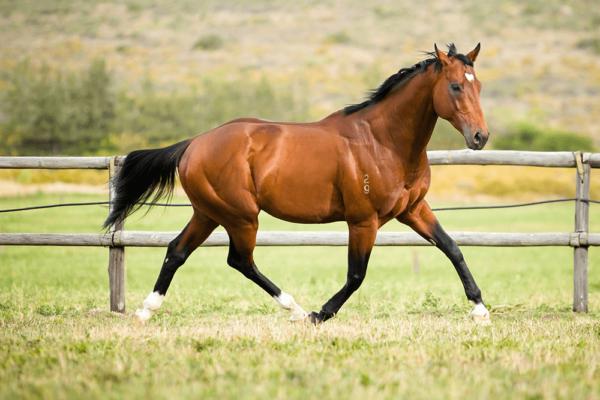 7 wins from 1200m to 1600m, NZ$214,125, Cambridge Breeders’ S., Gr.3, ARC Mr Tiz Trophy, L, Manawatu RC Flying H., L, Levin S., L, North Canterbury RC Canterbury S., L, 3d WRC Telegraph H., Gr.1, ARC Great Northen Guineas, Gr.2, Wellington S., Gr.3. SHE’S CLEAN (08f, End Sweep, Pleasant Colony). 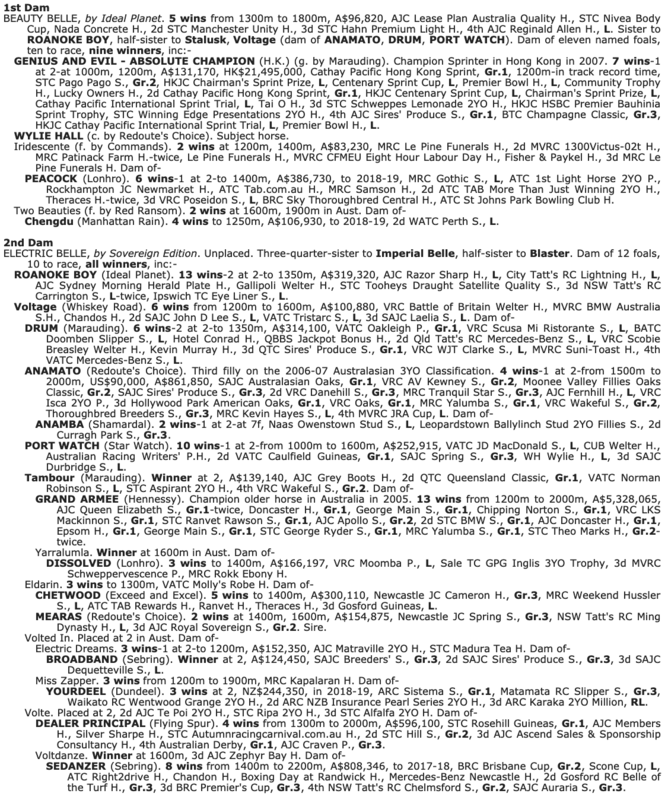 10 wins to 1400m, A$705,170, Newcastle JC Tibbie S., Gr.3, ATC Triscay S., L, June S., L, SCSI H., Nitto H., Ascend Sales Trophies H., Michael Hansell Signs H., TAB Place Multi H., Tooheys New H., Altona Electrics H., 2d MRC Summoned S., Gr.3, VRC Chanteclair H., ATC Canterbury BMW 40 Years of M H., 3d VRC Lavazza Short Black P., Gr.3-twice, Daniel Maher H., Brian Beattie H., MRC Hockingstuart P., ATC Gosford Quarries P., Hyland Race Colours H., Shufflemaster H., 4th ATC Nivison S., Gr.3, BRC Glenlogan Park S., Gr.3, ATC Festival S., L, BRC Juanmo S., L, Bright Shadow H., L.
His sire sons include Snitzel (87), Not a Single Doubt (63), Stratum (40), Nadeem (16), Beneteau (10), Fast ‘n’ Famous (9), Bradbury’s Luck (9), God’s Own (8), Time Thief (6), Lucky Unicorn (5), Al Samer, Coats Choice, Duelled, Patronize, Burgundy, etc. 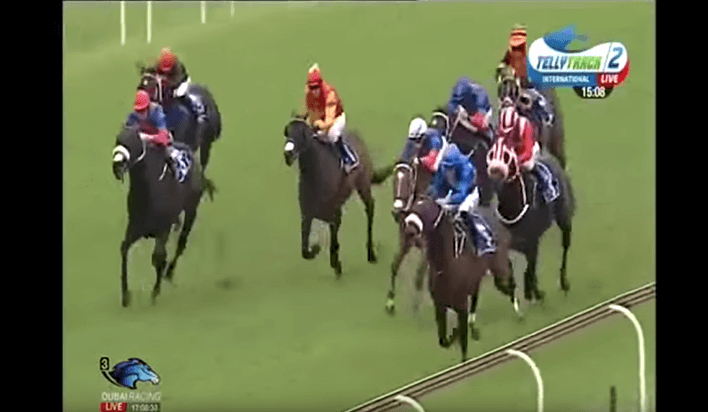 IDEAL PLANET 9 wins to 1400m, A$219,320, BATC Doomben Hundred Thousand, Gr.1, Qld Tatt’s RC WJ Healy S., L, AJC Lachie Melville H., Tom Street Welter H., Sam Hordern H., STC Baguette Welter H., Lite-Ace Happy Wheels H., 2d VRC Newmarket H., Gr.1, AJC Galaxy H., Gr.2, MVRC William Reid S., Gr.2, QTC Lightning H., Gr.3, STC Sir Robert Askin Cup, Gr.3, AJC San Domenico S., L, 3d AJC All-Aged S., Gr.1, QTC Katies Cup, Gr.3, 4th NSW Tatt’s RC Carrington S., L. Sire of winners of over $11 million – 6 stakes winners, inc. ROUSLAN, FROM THE PLANET, LET’S PLANET, ROANOKE BOY, NITROGEN, NOTEWORTHY – CONCERT BOSS (H.K. ), etc. 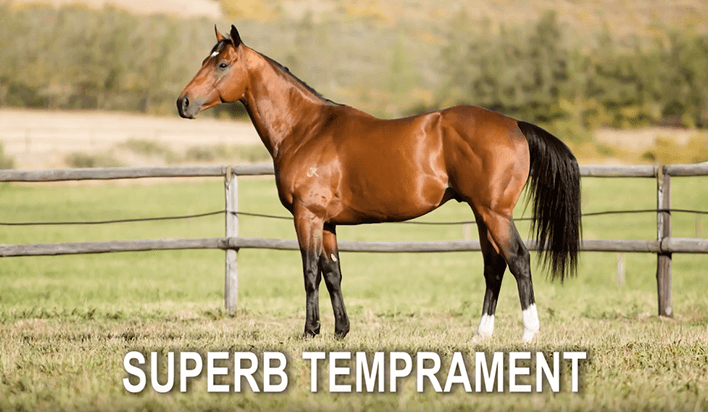 Maternal sire of winners of over $13 million – 7 stakes winners, inc. 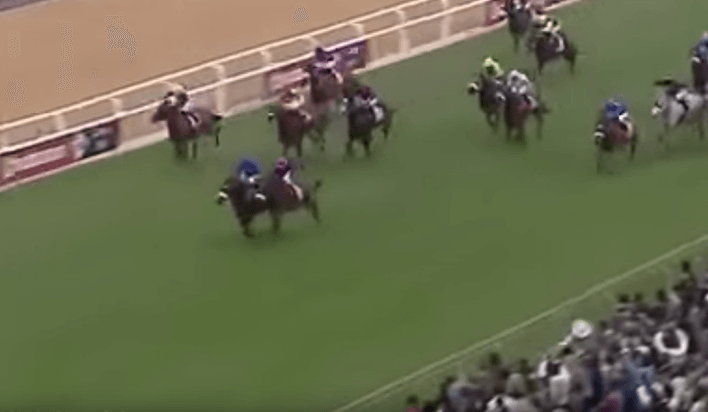 GENIUS AND EVIL – ABSOLUTE CHAMPION (H.K. ), UMAH, WYLIE HALL, ORBIT EXPRESS, CHARNWOOD GREEN, WOOL ZONE, SAKIMA.